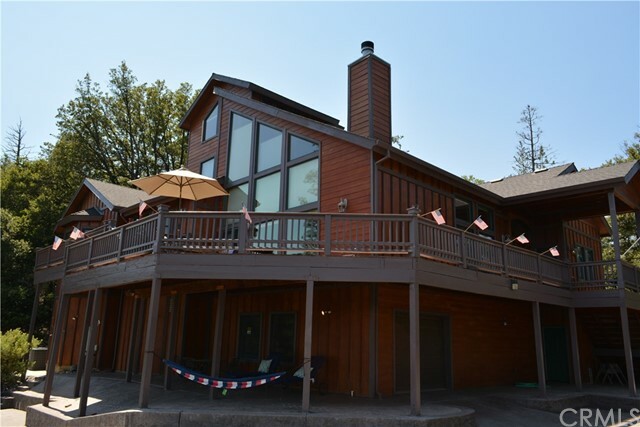 If Privacy, lake views and an amazing custom home is what you are looking for at Bass Lake, then this is the home for you! Incredible location with sweeping lake views!! Custom 3 story home comes with elevator!! Master suite on main level with adjoining sitting area and amazing master bath complete with soaking tub! Large open living room with adjoining office/den. Formal dining room, state of the art kitchen. Open loft with lakeview and then a bonus upper level for retreat and or additional sleeping. TwoIf Privacy, lake views and an amazing custom home is what you are looking for at Bass Lake, then this is the home for you! Incredible location with sweeping lake views!! Custom 3 story home comes with elevator!! Master suite on main level with adjoining sitting area and amazing master bath complete with soaking tub! Large open living room with adjoining office/den. Formal dining room, state of the art kitchen. Open loft with lakeview and then a bonus upper level for retreat and or additional sleeping. Two bedrooms on second level share a jack and jill bath, a separate bedroom on the lower level has it's own bath. Elevator from the garage brings you to the living room and master suite levels. Borders national forest with incredible hiking trails.